"A Man On The Move For The People"
"CHANGE" HAS COME TO RALEIGH! Raleigh's Independent City Council Hopeful Lent Christopher "Chris" Carr, II, was born on December 22, 1973 in Greenville, North Carolina. His father, Lent Carr Sr., was a Pitt County Public School Technician and his mother, Thelma P. Carr, was an Agricultural Plant Dr. Specialist before she retired 20 years earlier. Carr was the first sibling in his family to attend college, graduating from Cumberland County College in 2004, earning an Advance Career Development Degree from Cumberland County College in 2006. Later, in 2009, Carr received a Doctorate Divinity Degree in Sacred Theology/Christian Education from Amherst Theological Seminary, Madison Heights, VA.
Before entering politics, Carr spent twenty five years as an Ordained Minister. After accepting his call to the Ministry at the ripe age of 12 years old in 1985, Carr became the Senior Pastor of World Harvest Church in Greenville, North Carolina in 1992, until his contractual tenure ended in 1996. Currently Carr serves as the Presiding General Assembly Bishop and Senior Pastor of the Emmaus Puritan Apostolic Baptist Churches, Inc., headquartered in Raleigh, North Carolina. He specializes in pastoral and overseer's duties i.e., directing internal, community-based-social-services, national and international missionary operations, including marriage, drug and alcohol abuse, adolescence, loss coping counseling, etc. As the humbled Prelate of Emmaus, Lent Carr graciously serves his Church and the Raleigh, North Carolina Community, which is of a diverse mixture, with the ideology that those of us more fortunate owe a gratitude of responsibility and servitude to God and our fellow brethren of our community to educate, love, support and provide a selfless helping hand to those less fortunate. Lent Carr, the former Executive Director of Fundraising/Outreach for the Iraqi Homeless Veterans Foundation of Raleigh, N.C., is also championed by the Homeless Veterans Community of Wake County for fighting for their humane rights as deserving and returning war heroes of the Iraqi war, and his advocacy for working class people earned him respect and recognition by the prestigious "Cambridge Who's Who," Nationally renowned USA Honor Society . nt/Founder of both the Citizen's Advocates for Reform & Revitalization (C.A.R.R. ), and the Repairers of the Breach Outreach Ministries United (RBOMU) of Raleigh, North Carolina, an extension of Emmaus P.A.B. Church, Inc. RBOMU has initiated several new innovative solutions as a result of increased gang activity in Wake County. RBOMU target at-risk and gang-impacted residents. Specifically in Southeast Raleigh. Programs like Transitional Employment Opportunity (TEO) and Power To Achieve (PTA) both aim to assist gang-impacted individuals develop employment, family and social skills. RBOMU's PTA Team Members intervenes in homes to help parents and teens develop more effective ways to set house rules and personal and family goals through open communication. Our literacy services offers adults and youths the opportunity to build stronger foundations that will foster to personal success. As the curriculum writer of RBOMU, Lent Carr believes that a holistic approach to this societal problem will assist gang-involved individuals returning to the community from youth development centers, prisons and jails to create productive, stable and sustainable futures. Lent Carr further ascribe to the belief that transforming the lives of those who wreak havoc on our neighborhoods will ultimately transform the lives of those neighbors affected thereby. As a result of Carr's "foot patrol advocacy" for those who's voices seemingly had been drowned out by Southeast Raleigh's "Old-Guard-Political-Succession-Regime," specifically the younger generation, he quickly established himself as a champion for issues such as neighborhood safety, community-based job creation, protecting civil and human rights of ex-felons who but for their past criminal disability would be a productive citizen of Wake County, preserving the environment and local environmental concerns, community revitalization, Chavis Park budget-preservation reform, infrastructure, fair housing, youth-based initiatives and equitable distribution of funds. Recently, Carr has made abundantly clear his opposition to City Manager Allen's egregious proposal to eliminate former Asst. City Manager Wray's position following his retirement this month. Liken such a move to that of Wake County Public School's re-segregation proposal in the highest order. In a letter to each City Council Member, including Councilman Eugene Weeks, Mayor Charles Meeker and Southeast Raleigh CAC Leaders, Carr emphatically put every member of council on notice that: "Even if such proposed cuts would save the City money, I do not think it wise to strip Southeast Raleigh of this essential venue of City power and influence. 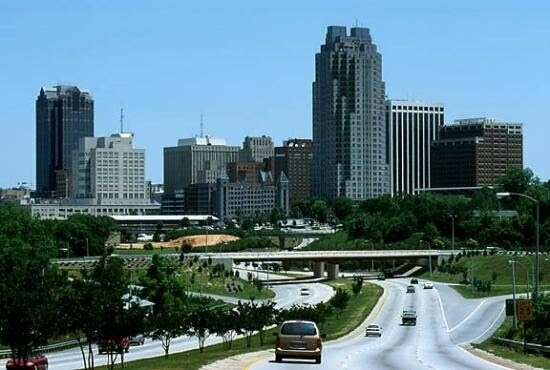 Just as the domino effect goes; should we sit back nonchalantly on this major issue, in the days and weeks to come we risk the chance of other Southeast Raleigh achievements or aspired achievements being snatched from the very fabric of our community. In short, I am respectfully urging influential and locally respected Community Organizers i.e., Southeast Raleigh’s CAC to stand with me in preserving the already limited powers in which Southeast Raleigh has fought for in times past." Moreover Carr went onto admonish recently selected Councilman Weeks as follows: I would pray he show some courage, intestinal fortitude and vision for the future of Southeast Raleigh's socio-economical advancement by standing up to Council and Allen, and vote NO to the proposed elimination of this important post held by Lawerence Wray. If there were ever a time in which he could exemplify his independent thinking and decision making leadership since taking office on the City Council's Panel, this is the time. It would be a disappointment if Weeks treated this issue like that of Chavis Parks. However, at a recent candidates forum held at Shaw University, and sponsored by the Raleigh Wake Citizens Association (RWCA), Lent Carr, II, 37, and the Democratic base's declared front-runner and "old-guard" favorite, 68 year old Eugene Weeks had an opportunity to share their political views and solutions to a wide variety of issues affecting Southeast residents. Rather than calling for "change", Weeks said, "we need to move forward with the things that are on the table" at council, including the stalled Clarence E. Lightner Public Safety Center proposed for downtown. Albeit, Lent Carr, II, the Senior Pastor and Bishop of Emmaus P.A.B. Church, Inc., came out swinging hard on the issues that concern the people of Southeast Raleigh. To the applause of his constituent base and supporters, Carr hit hard on crime issues in Southeast Raleigh and called for the city to condemn and get rid of "problem properties" that decreases the value of so many home owners properties residing in District C. However, he cautioned any such usage of the "Imminent Domain" tool available to Council Members in addressing these concerns should be used sparingly for the sole purpose of halting irresponsible investors who buy up these properties and allow such property to just sit and deteriorate to the detriment of other property owners' property value. Known For: His tough stance against inhumane discrimination against the poor, rehabilitated ex-felons and injustice against against all people; Blacks, Whites, Hispanics, and all people endowed with the inalienable rights granted by the Creator. Even when it's not politically expedient or correct in the eyes of the powers that be. Key Accomplishments: His life's work as a Community Organizer and Activist for the less fortunate--being extolled with one of the Nation's highest honors from the U.S.A. Honor Society, Cambridge's Who's Who. Significant Quote: "The People of Southeast Raleigh Concedes Nothing Excepting 'Change'." Fun Quote: "Sometimes The Board Needs A Board Put On Them."